THE Peacocks Centre was transformed into a designer’s paradise over the weekend as TV’s style guru Mark Heyes fronted Woking Shopping’s annual Fashion Week. 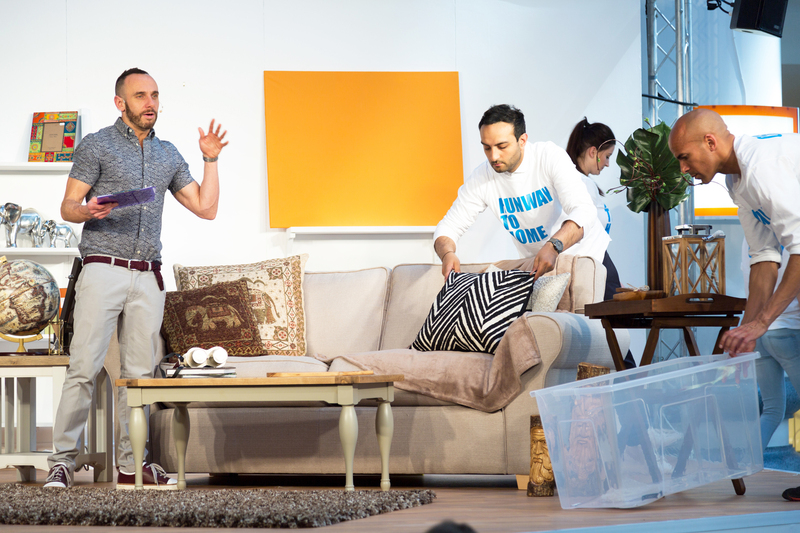 Visitors were treated to live runway shows, which took in some of the summer’s hottest new looks, and were given a demonstration on how to transform their home by Heyes (right) himself. What Heyes doesn’t know about fashion simply isn’t worth knowing, and displays held throughout the centre highlighted various facets of his creativity. During his career Heyes has been the lead fashion presenter on ITV’s Lorraine, fronted many red carpet events, written a sellout book entitled Get The Look, and reported live from Fashion Weeks around the world. Rowen de Grauw, who is Woking Shopping’s Customer Experience Manager, hailed the demonstration.